MOSCOW, February 9. /TASS/. 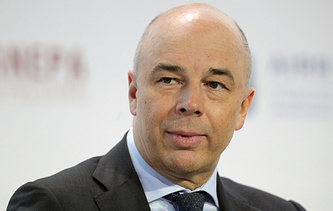 Implementation of national projects, gradual increase in GDP growth rates and further accumulation of government reserves will create conditions for upgrading Russia's rating by global rating agencies even further, CEO of Russian Direct Investment Fund (RDIF) Kirill Dmitriev told TASS on Saturday. "They said the obstacle for upgrading the rating and outlook was low economic growth rates and importance of implementing structural reforms aimed at boosting productivity. However, all those measures lie at the basis of national projects, and RDIF actively contributes to their implementation. I am confident that gradual increase of GDP growth rates together with increasing government reserves will create conditions for upgrading the outlook to positive or further upgrading the rating," Dmitriev said. Earlier today global rating agency Moody's upgraded Russia's rating to Baa3 with a stable outlook. "The upgrade of Russia's ratings reflects the positive impact of policies enacted in recent years to strengthen Russia's already robust public finance and external metrics and reduce the country's vulnerability to external shocks including fresh sanctions. The stable outlook reflects evenly balanced upside and downside credit risks," the agency said in a report.